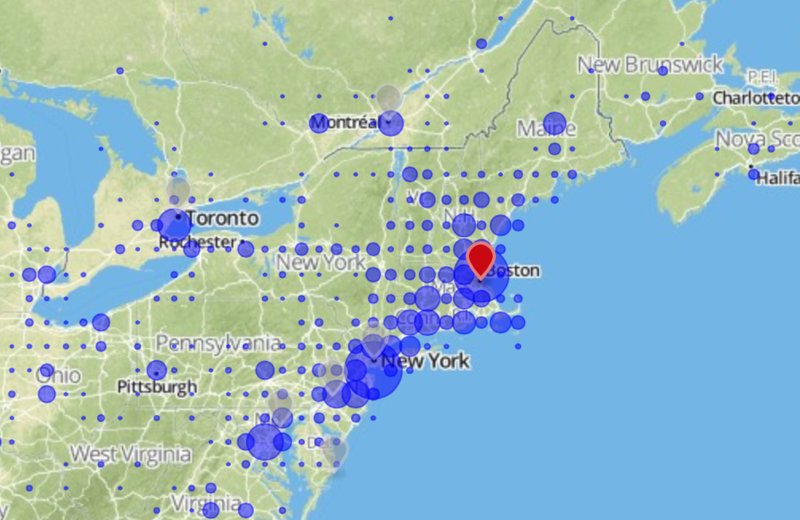 This project attempts to use hotel review data to understand where tourists come from. It stems from my interest in regional tourist destinations—places like the North Shore of Lake Superior, Door County, or Rehoboth Beach that have large, devoted masses of visitors from one or two cities, but are relatively unknown outside of their source regions. This data was originally gathered by Hangning Wang et al. for a project on textual analysis of hotel reviews. The site is thus limited by the amount of data they were able to collect, and it’s a few years out of date. If you work at Tripadvisor (or any other travel site!) and would like to explore these topics further with me, let me know!